Many of us may understandably feel that closures of local police or fire stations outweigh those of post offices. After all, we’d rather go further to send a registered letter than wait longer for cops or a big red fire truck to reach our homes when needed. But partly because they’ve always been used more often in daily life, post offices are more likely to possess architectural quality flavored by local settings than are police or fire facilities of the same periods. Over the last five or six years, post offices across the country of signature styles have been in danger of tarnishing or demolition. Notable in this precarious situation is the Berkeley Main Post Office, object of USPS sales efforts and so far saved by a massive community preservation campaign. The roots of these perils extend back to 1970, when a national postal strike and increasing mail volumes spurred the passage of the Postal Reorganization Act (PRA), designating the Post Office Department as an agency, the United States Postal Service. This was more than a name change, because it meant that since 1971, the USPS, while still obligated to deliver to all United States addresses six days a week, has been required to forego most government subsidies and to be financially self-sustaining based on user charges for its products and services. Of greatest concern to the preservation community are two other interrelated USPS undertakings: “streamlining”, or the elimination of underutilized space in postal facilities, and the sale of post offices housed in historic structures. These sales have led to damage or loss of irreplaceable features, and in some cases to outright building demolition. As Jacquelyn McCormick, Executive Director of National Post Office Collaborate and currently Senior Adviser to the Mayor of Berkeley notes, the Postal Service has often seen historic post offices not as assets, but as liabilities. McCormick believes that the USPS can learn from the General Services Administration: “The GSA values preservation, shepherds and ensures there are enforceable covenants to ensure that the asset is maintained.” It engages in greater consideration of potential project impacts to historic properties than does the USPS, and its internal process thoroughly analyzes alternatives to the sale of such properties before placing them on the market. The GSA also has a program enabling state and local governments to obtain surplus federal properties at heavy discounts for uses beneficial to the public. In December 2011, the USPS and GSA commenced an agreement for disposal assistance and other real estate property services, but this has been limited to GSA marketing of properties the Postal Service could not sell. On April 16, 2014, the USPS Office of Inspector General issued a fault-finding report on the Postal Service’s management and sales of historic properties. Partly due to this, since 2016/17 the USPS has shifted emphasis from building sales to leasing, but serious preservation concerns remain. In efforts to keep historic post offices open, or else at least to ensure that their historic integrity is unimpaired, preservationists are supported by the National Historic Preservation Act of 1966 (NHPA), in particular Section 106. This requires federal agencies to determine whether their planned projects, or projects they otherwise assist, can potentially affect historic properties. If this possibility exists, agencies must commence a 106 Review, a chance for the Advisory Council on Historic Preservation (ACHP), parties linked to the projects, local governments/organizations, and interested members of the public to express concerns and suggestions. 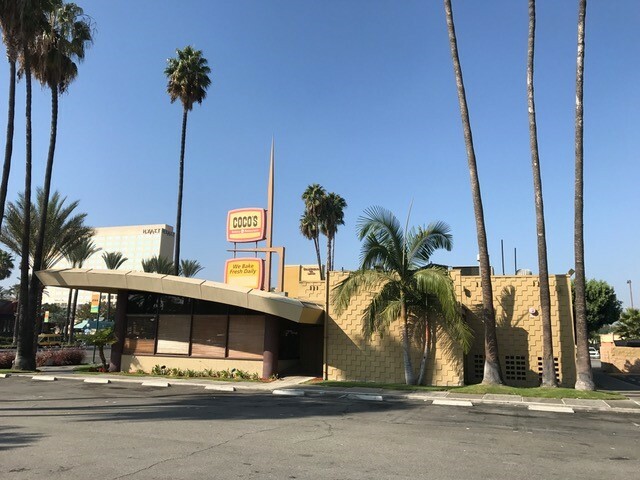 The first step of this review is for an agency to specify historic properties, defined as those already on the National Register of Historic Places (NRHP) or eligible for inclusion in it, which will be affected by a proposed project. If one or more properties are found, the agency designates those “Consulting Parties” which are then eligible to participate in the review. Typically, these are preservationist groups, or other organizations with a legal, economic, or cultural interest in the project. Individuals who do not receive the designation may have opportunities to comment at public hearings. It is notable, however, that Section 106 requires only “consultation,” and does not specify that this must include public venue meetings. Once this is done, the review truly begins, with an assessment of project impacts. The agency must notify consulting parties and request their input. The goal is to ascertain whether any of the impacts qualify as an “adverse effect” on a historic property, i.e. would corrupt a specific property feature or features critical to including it in the NRHP. Given any such adverse effects, agencies are required to explore means of avoiding, minimizing, or mitigating them, and if an agency and consulting parties agree on these, a Memorandum of Agreement (MOA) is issued detailing the situation resolution. Accedence of State (or Tribal) Historic Preservation Officers to this conclusion is also sought. The MOA is to be implemented prior to approval of the project. If no agreement is reached, Section 106 requires the agency to request the advice of the ACHP. Once received, an agency must acknowledge this advice, with evidence that it has been considered, but is not bound by it. For example, the USPS has sold the Santa Monica, Venice Beach, and Ukiah post offices in California based on its own conclusions of no adverse effects, despite the ACHP’s disagreement. Although the Section 106 process has contributed invaluably to preservation efforts, it is hobbled by weaknesses from a preservationist perspective. Most fundamentally, upon process completion, the same agency which proposes a project retains the final say on whether and in what forms it proceeds, regardless of criticisms or opposition. And along the way, according to the ACHP Preserving Historic Post Offices: A Report to Congress of 2014, there have been cases of USPS failure to respond for months or years to requests of historic preservation groups for “Consulting Party” status, and to deny such status without adequate explanation to community groups with a clear stake in specific facilities (although this situation had recently improved.) It has not always notified consulting parties of actions in advance, or considered means of avoiding or mitigating harm to historic structures, both steps required by Section 106. The report further indicated that the USPS would not share details of its postal facility disposal program future, and that it declined assistance from the ACHP and other entities offered to improve the 106 compliance process and the efficiency of USPS-stakeholder communication. In relation to Section 106, the report’s key recommendation was for the USPS to initiate the consultation process upon proposing relocation/elimination of services at a historic facility, rather than delaying this until the stage of deciding the facility’s fate. The ACHP also urged the USPS to consider adopting the General Services Administration’s (GSA) Office of Real Property Disposal for disposal activities, including Section 106 compliance. 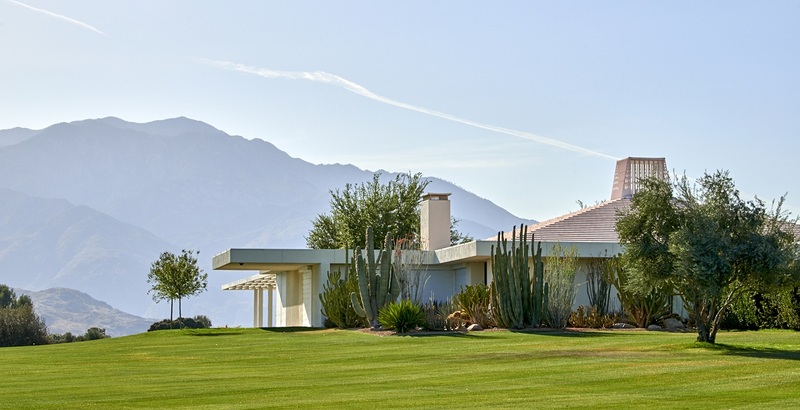 In fairness, the Postal Service usually includes a preservation covenant in the sale deed of an NRHP-caliber property, binding future owners to protect its historical aspects. These covenants specify character-defining architectural elements, and sometimes public access to historic artworks (if covenant requirements are seen as insufficient, they can be expanded as part of a MOA.) The Service has often used its commitment to create a covenant as justification for reaching a “no adverse effects” conclusion of a 106 review. However, for full protection of historic integrity, such covenants must be monitored over time by qualified third parties, whose responsibility is typically in perpetuity (although some older covenants which remain in effect may be terminated for “good cause”, with little opportunity for preservationists to object, which weakens their protective efficacy). To monitor is costly, and the USPS has steadfastly declined to provide funding, often assuming that monitoring will be performed by State Historic Preservation Officers, which in California is not the case. There was even an instance (that of the Old Chelsea Post Office in Manhattan) when the Postal Service decided it would serve as the covenant monitor, because it wanted to sell the air rights above the building. 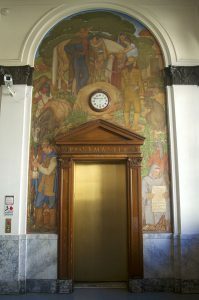 In any event, covenant requirements are not always onerous, the new owners of the former Bronx General Post Office being obligated to provide public access to the building’s Ben Shahn murals all of once a month. Finally, there is an agency perception that restrictions on uses of sold properties may depress prices received for them. These challenges to preservation can be illustrated by examining USPS efforts to sell the Berkeley, California Post Office. 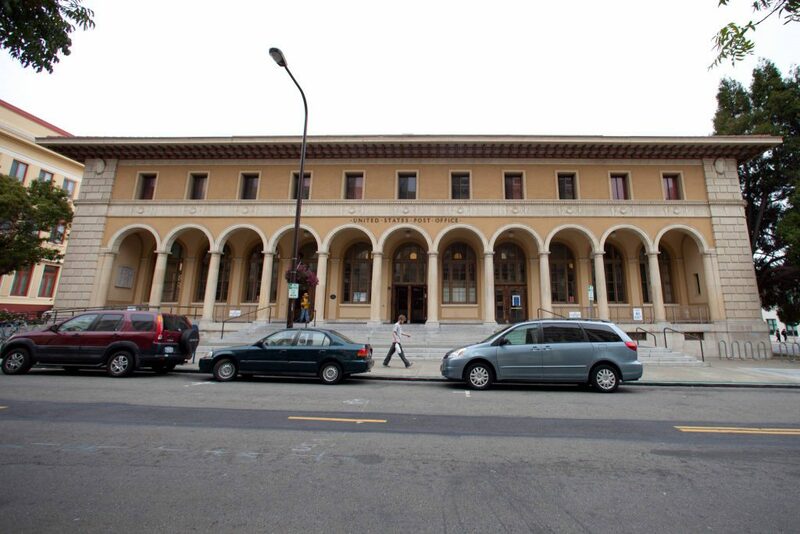 Opened in 1915, the Berkeley Main Post Office at 2000 Allston Way is a Second Renaissance Revival Style structure featuring a veranda gallery with an eleven arch front supported by Tuscan columns. 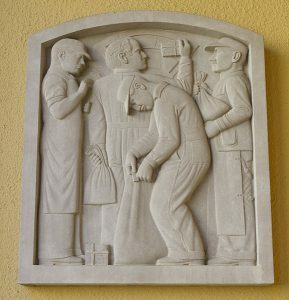 In 1932 a rear annex was added, and in 1937 the building was enhanced by two artworks: a mural by Suzanne Scheuer depicting the Spanish and Pioneer periods of Berkeley history, and a limestone bas-relief by David Slivka of New Deal era postal workers. In June 2012 the USPS announced sale plans for the post office, setting off an immediate community outcry. It claimed it was using only 4,000 of the building’s 57,000 square feet, and floated the possibility of leasing back space it might need from a future buyer. A suggestion that it simply keep the building and lease out unneeded space itself was rejected, the USPS responding that it was not in the real estate business. Over the next several years, rising resistance to the sale was marked by meetings, rallies, and two long-term homeless encampments on the post office steps. The Mayor of Berkeley, Tom Bates, and the Berkeley City Council also expressed total opposition. 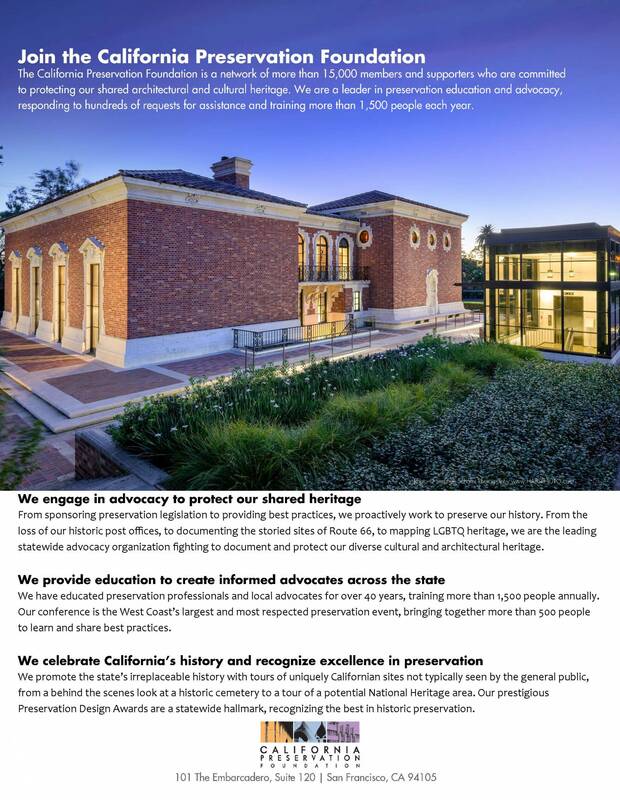 Under the cry of “Halt the Heist: the largest private auction of public history our nation has ever seen”, Berkeley activists fused political lobbying, legal advocacy and public involvement into a campaign of several years which few if any other American communities have seen. This kicked off in early 2013 with a “Please Mr. Postman” sing-along, and a monologue with TV host John Kornbluth as Ben Franklin prior to a USPS hearing on the sale of the Post Office. A few months later, activist pressure helped win the passage of an exceptional resolution by the California legislature urging the Postal Service to rescind its Berkeley sale decision. In true Berkeley tradition, the national struggle was stressed from the outset, with Assemblymember Nancy Skinner, Senator Loni Hancock, and Mayor Bates calling for a one-year moratorium on sale of historic post offices nationwide. Towards the end of the year, activists attended meetings to press for adoption of the proposed Historic Civic Center District Zoning Overlay Ordinance. In summer 2014, Ralph Nader addressed a Berkeley Post Office steps meeting, invoking the words of Lincoln: “With the public sentiment, you can achieve anything.” In addition to blasting the planned sale, he advocated a restoration of the U.S. Postal Saving Bank, an idea which gained increasing traction as a way for 32 million unbanked Americans to avoid predatory payday lenders. Berkeley’s U.S. Representative, Barbara Lee, took an active role in the campaign, focusing particularly on the struggle against USPS privatization and threats to jobs. The theme was amplified by the American Postal Workers Union (AFL-CIO), which in 2014-15 formed a national alliance of 74 organizations opposed to post office closings and job cutbacks. In the meantime, the National Trust for Historic Preservation (NTHP) in September 2012 voiced its concern regarding the USPS stated intention to decide whether to relocate the Berkeley Post Office prior to Section 106 Review, and requested to participate in this review as a consulting party. It disputed what it called the “false assumption” of the USPS that post office relocation would have no potential to affect a historic property, and pointed out that there had been no opportunity for the USPS and consulting parties to examine options to avoid, minimize and eliminate harm to the Post Office as required by Section 106. The NTHP stated it did not share the Postal Service’s trust in covenants for historic property protection, citing the difficulty of finding qualified monitors for enforcement (the City of Berkeley had offered to serve as a monitor provided the USPS leased out the property rather than selling, but this was declined.) The NTHP noted that other federal rules in addition to Section 106 applied to proposed relocations away from historic buildings, and that Section 111 of the NHPA required the USPS to consider leasing. The California Preservation Foundation (CPF) wrote to the California State Preservation Officer, Dr. Carol Roland-Nawi, in November 2013 citing disagreement with Roland-Nawi’s assessment of no “adverse effects” of the proposed closure and sale of the Berkeley Main Post Office on the historical qualities of the building. CPF echoed the NTHP observation on the difficulty of finding a suitable covenant holder (monitor). CPF also pointed out that the covenant draft allowed modification or cancellation of its restrictions. In addition to further concerns centering on the holder of the easement for the post office’s artworks, CPF contended that a recent court case had established the requirement of an environmental impact statement under the National Environmental Policy Act (NEPA) prior to post office sale or closure. Despite the numerous flaws in the Postal Service’s plans to protect the historic nature of the building, it remained true that as long as it completed Section 106 procedures, it could then close and sell the post office. To afford its main post office greater protection than that offered by NHPA, the City of Berkeley in September 2014 passed a Civic Center Overlay, stipulating that nine parcels in its civic center area, including the Post Office, be restricted to functions that “are civic in nature and support active community use”, as stated by a city planning study. The City also sued the USPS to stop the sale. As Brian Turner of the NTHP notes, a USPS response through a Department of Justice brief posited that because NHPA and NEPA do not contain “private rights of action”, the plaintiffs could not sue the USPS for violations of these statues, and that USPS compliance with NHPA Section 106 is only voluntary, based on the USPS belief that Congress did not intend 106 to cover the Postal Service’s disposal of its own real property. These contentions were not legally tested as Judge William Alsup threw out the suit in April 2015. However, Alsup required the USPS to provide 42 days notice to the City of Berkeley before a sale, for the next five years, in that event allowing Berkeley to reinstate its lawsuit. Alsup also stated the Postal Service had renounced its intent to relocate services, and if it wished to do so in the future it would be required to begin the legal process over again. Following this, the federal government hired an appraiser who estimated the Civic Center Overlay would reduce by about 39% the price the USPS could receive for the post office, to around $6,000,000.00. The USPS sued Berkeley, claiming that the Civic Center Overlay violated the Constitution’s supremacy clause by making it impossible to sell the post office, and by singling out the USPS. In May 2018 Judge Alsup ruled in Berkeley’s favor, stating that the USPS had not proved the Overlay had caused it “total frustration” in disposing of its property, as he had earlier advised it would need to do to prevail. He also noted that the Overlay did not single out the USPS, as it applied to other properties as well. A 60 day deadline passed without the USPS filing an appeal, so the City of Berkeley has achieved legal victory. This can embolden other communities to preserve their iconic post offices by pursuing court rulings similar to this precedent. However, the USPS can still sell the Berkeley Post Office should it decide to accept the highest price it can receive with the Overlay in place. Community vigilance and a capability to act quickly are still needed to ensure preservation and public access. Jacquelyn McCormick, Senior Advisor to the Mayor of Berkeley and Founder, National Post Office Collaborate. Brian Turner, Senior Field Officer and Public Lands Attorney, National Trust for Historic Preservation. Gray Brechin, visiting scholar in the U.C. Berkeley Department of Geography and founder and project scholar of the Living New Deal. From the turn of the century, existing pressures from private couriers such as UPS and FedEx have been greatly sharpened by the advent of electronic mail and related Internet services, resulting in dropping demand for the most profitable USPS service category, First Class Mail. This situation was partially masked by moderate profits the Postal Service generated up to FY2007, and in 2006 (a year of all-time peak mail volume) Congress passed a Postal Accountability and Enhancement Act (PAEA). PAEA mandated the Service over the next ten years to reserve sufficient funding to prefund retiree health care benefit payments. Many sources, including PBS and National Post Office Collaborate, state that PAEA required this to be done over ten years for all USPS employees over the next 75 years, including those not yet hired. However, this is denied by the Wikipedia “Post Office Regulatory Commission” article, and not stated by the Congressional Research Service paper “Reforming the U.S. Postal Service: Background and Issues for Congress” of August 25, 2016. It was stipulated by PAEA that the USPS do this through annual payments of between $5.4 and $5.8 billion to the Retiree Health Benefits Fund (RHBF) from 2007 to 2016. But the ’08 economic crash with other ongoing strains, including a drop in total mail volume, meant that the USPS defaulted on its RHBF payments for FY2011 through FY2015. The Service’s net default exceeded its payments to the Fund by $7.2 billion through FY2015. USPS Office of Inspector General Report “Preservation and Disposal of Historic Properties” of April 16, 2014, pg. 7. Preservation and Disposal of Historic Properties of April 16, 2014: “The Postal Service has the authority to dispose of historic properties but must follow certain regulations for preserving their historic features including Section 106 of the National Historic Preservation Act (NHPA).” (Pg. 1). All images via Noah Salzman and Matthew Roth, licensed under Creative Commons.